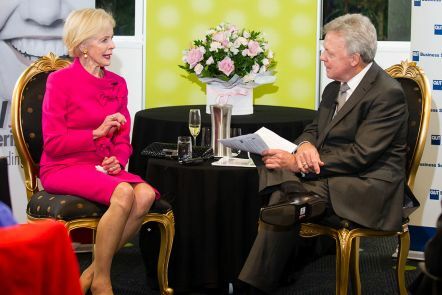 We host Australia's brightest leadership talent, such as The Honourable Quentin Bryce AD CVO, to provide first hand advice and celebrate women in leadership. 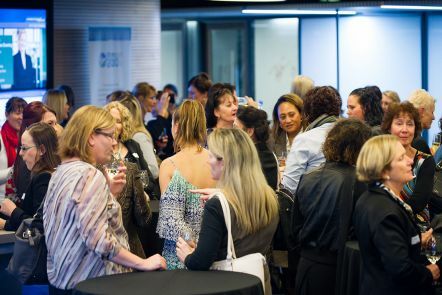 We host regular networking and panel events that enable women to connect with and be inspired by business and thought leaders. 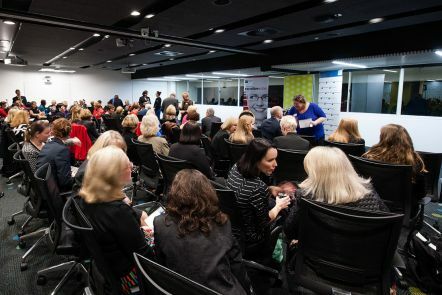 Fostering Executive Women, along with UN Women National Committee Australia and QUT Business School, held a special breakfast event in 2017 to coincide with International Day of the Girl Child. Fostering Executive Women nurtures and celebrates the achievements of female Business graduates through advocacy, mentoring and networking opportunities. Fostering Executive Women has been recognised as playing an important role in the development of aspiring female leaders’ skills and decision-making abilities. QUT Graduate School of Business (GSB) and Fostering Executive Women (FEW) Alumni have offered me so much more than a post-graduate qualification. I have grown as an individual, challenged myself with new concepts and ideas, and been able to integrate and apply my learnings to enrich my career. 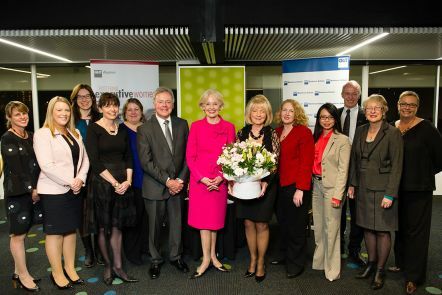 During the last two years, I have been fortunate to attend FEW events and the annual QUT GSB Women on the Move workshops. 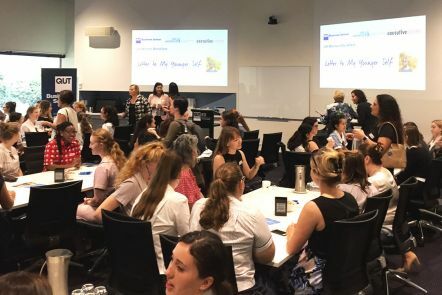 Fostering Executive Women (FEW) is an Australian professional women’s network for current and past female postgraduate students of the QUT Business School, known for its high-quality mentoring program and engaging networking events. The women who make up the FEW committee are themselves QUT Business School postgraduate alumni and leaders in their chosen field. They are committed to helping women to achieve and be confident in knowing that they are the best version of themselves. This is achieved through the elite mentoring program available only to female alumni and current postgraduate students of the QUT Business School. Developing a community of professional women who collaborate, support and inspire. FEW provides significant opportunities to members including mentor programs, scholarships and continuing professional education. Our programs are open to female QUT Business School postgraduate current students and alumni, with support and collaboration provided by the wider business community. The success of FEW relies heavily on the generous support of the QUT Business School, its corporate sponsors, volunteers, QUT alumni members and the Queensland business community. If you would like to be a supporter of FEW, either as a keynote speaker or as a host of one of our events, please contact the FEW Chair via few@qut.edu.au. All female postgraduate alumni and students of the QUT Business School are automatically eligible to join FEW. If you would like to join FEW or are a current FEW alumni chapter member and your details have recently changed, make sure you update your details with us.